A mobile first approach to your content strategy and SEO can provide you with a better user experience, and improve your credibility as a business. There are certain SEO and content strategies you should implement for your mobile first approach, which will allow you to reap the benefits of both a positive customer perception of your business and an increase in leads and sales. Here’s what you need to know about a mobile first approach, and the strategies that you should implement. A mobile first approach stems from the idea that mobile design, which is typically the most challenging, should be done first. Once the questions surrounding mobile design are answered, designing templates for other devices will be much simpler. The whole point of this method is to make sure that you have a positive user experience at the heart of your design. The way customers search and behave on mobile versus the desktop is very different. Voice search has become a more popular option, and users employ different keywords or phrases when searching on mobile devices. The first step is to differentiate between your mobile and desktop keywords, so you can gain a better understanding of what your visitors need and provide that information on demand. This method also allows you to provide the right content in the best format. It is still important to use the desktop as a way to provide more in-depth information, but not if it means you lose mobile users. Find out which keywords are more likely to be searched on mobile devices, and then find out what the intention of the user is. Next, you can use this information to develop content that suits this type of user, and ensure that it is in a mobile-friendly format. Responsive and adaptive web site designs are both capable of enhancing mobile user experience on your web site, but it’s important to know the difference between the two methods so that you can make an informed decision about which one to implement. The main difference is that responsive web sites are inherently designed to fit any portable or mobile screen regardless of its proportions, whereas the adaptive model focuses on multiple web site layouts that adhere to specific screen sizes and configurations. Accelerated Mobile Pages (AMP) is very important to Google. Essentially, it is a very accessible framework to create quickly loading mobile web pages. While it improves speed, it also increases mobile readership without sacrificing any ad revenue. Implementing AMP into your strategy will be a huge benefit to your user experience. Another important tip is to understand the tension between long-form and short-form content. 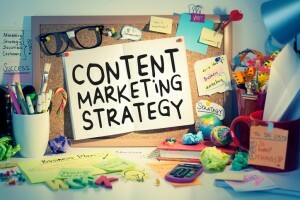 Nowadays, longer content is assumed to be more in-depth, show more expertise, and create greater value for the reader. Since content quality boosts your presence on Google, you are also likely to perform better in search rankings. Mobile SEO works in tandem with Google’s adaptation of mobile-first indexing. The primary goal of this approach is to minimize or eliminate altogether the risk of losing prospective web site visitors due to the lack of a mobile-friendly platform. Mobile optimization improves loading times, web site speed, web site capacity, layout designs, and other specifications that impact the experience of mobile users. Optimizing your web site to be more mobile-friendly is an excellent way to reduce the chances of mobile users leaving your site and turning to your competition to fulfill their needs. You should strive to enhance your tracking capabilities and Key Performance Indicators (KPIs), including the traffic that comes from mobile and desktop. You can do this by measuring your SEO traffic rates, landing page visits, engagement rates, revenue rates for mobile devices, and conversions. As more people are driven toward mobile browsing, you should be ahead of the game by making sure customers can interact with your site on their mobile devices. Social media, Facebook in particular, is an excellent branding tool that can help put your business over the top by effectively communicating with your target demographic and delivering memorable key messaging that complies with their values. Facebook’s Instant Articles can help speed up the way in which you publish and distribute advertisements through the social media mogul’s mobile app, which will make for shorter loading times and more positive reception. 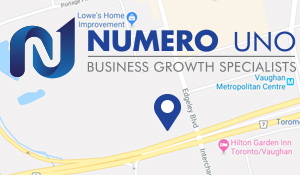 If you’re looking for a reliable content marketing agency to work with to improve your content optimization and SEO strategies for mobile, get in touch with Numero Uno Web Solutions. We provide our clients with many marketing solutions such as SEO, ORM strategy development, content audit services, online reputation management, web designing and development, and more. We are a content marketing agency in Toronto that specializes in helping small- to medium-sized businesses improve their web sites. For years, we have helped clients across the Greater Toronto Area, Texas, Massachusetts, and Florida, boost their marketing strategies and grow their businesses. Call us at 1-855-SEO-XPRT to learn more about the services and expertise we provide at our Vaughan location.